Calorimeter body for the heat equivalent device for determining the specific heat capacity of copper. 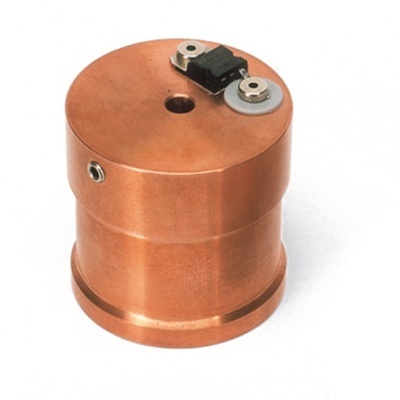 With borehole for holding temperature sensor and with integrated heating element. Dimensions: approx. 50 mm x 48 mm dia.